A Little African Magic: An Update And Snippets Of Our Adventures From Our Side Of The World. An Update And Snippets Of Our Adventures From Our Side Of The World. Hallo all,been too long since I last posted but here's a peep as to what we have been up to lately! Cules, Minki and I went visiting the 2000 year old Baobab tree near Rubbervale train station one Sunday morning and had loads of fun there.. The tree is so big 5 grown men can go inside quite easily...It is completely hollow inside! We started revamping our kitchen using Matumi wood from a tree that had died about 60 years ago on our farm! Graffiti scribbled on the inside of the Baobab tree . The piece of wood that had to be cut out where the kitchen sink went in was made into a butchers block by Cules! Minki making it clear she will not be left behind when we started climbing up the old Baobab tree! On a friend's Game Farm....This Hippo made his way back to this dam after being swept away by the floods earlier this year! Minki and Cules VERY high up in the Baobab tree...I was so scared she would wriggle herself out of Cules' grip as she smelled the vervet monkeys close by! All three of us up in the Baobab tree....these are the things we get up to on a Sunday morning!! Ok,ok,I will admit my knees were shaking and my teeth were chattering from fear! Cules starting the fire at my youngest daughter's house on their Game Farm..
Eldest sister is in Canada at the moment for another 5 months! All the girls are Scottish Veterinary students doing their Practical with the vets on the Game Farm. The one holding her head is my Jess! Another pic of the elephant bull being collared,Cules stole three tail hairs for me!! I am sure the bull doesn't miss them though...Elephants do have a very long memory! A lovely old wood burning stove I chanced upon and bought seeing as it is winter here! I have always wanted one and found this one just across the road from us at our next door neighbour. Thanks for the update. I do hope you will post pictures of your new kitchen...that wood is gorgeous. when will post the pictures of new kitchen??? Yes, yes! Pictures of the kitchen! -- so good to hear from you. Good to hear from you! Looks like life is going well at your end of the world. I love the pictures you post - sending a 'hello' all the way from Michigan in the US !! really love the wood for the counter tops! breeding welsh ponies! nice! and good to see minki still doing well and being spoiled as ever! Hi,thank you for stopping by "A Little African Magic" and joining our adventures in South Africa. I do enjoy and appreciate to hear from each and every one of you! Thank you for following A Little African Magic! 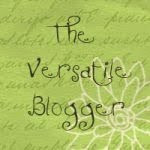 I received the Versatile Bloggers Award from Inger over at Desert Canyon Living! Thank you Inger! I was given this award by Annette over at "News from Aspen Meadows" Thank you Annette! Another award from Annette over at "Aspen Meadows"! Thank you Annette! All text and photographs in this blog are the sole property of the blog owner and may not be copied or reproduced without the blog owner's written permission. Hi my name is Liesl. I live on a 21 ha farm near the banks of the Letaba River in South Africa. I share this wonderful place with my two daughters,horses,dogs, and wildlife. Welcome to my world. If you do not talk to them,you will not know them. And what you do not know,You will fear. Copyright © Liesl du Plooy 2010. Powered by Blogger.